# Adventure with the Astromons!Monster Super League summons you to the fantasy world of Astromons!From cute to stylish, catch & collect monsters of all sizes and shapes! 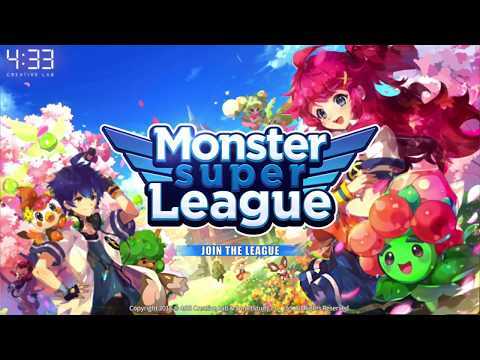 Collect over 550 types of Astromon in Monster Super League! # I Choose You!Catch wild Astromons out there in the field, or summon them by hatching the mysterious eggs!Collect & evolve your favorite Astromons!# Evolve and Grow!Your Astromons will evolve to change in looks and gain additional skills.Sometimes, they will evolve into very rare variants with even more power!# Strategic Combat!Even the same Astromons can differ by attributes & combat style.Build your team to adventure through over 100 stages in various natural environments!# Populate your Airship!Astromons you catch & summon get to live on your airship.Sometimes you might even have a surprise visitor! # Socialize with friends!Summon your friends from all around the world to chat and exchange gifts and tips! # Become stronger in your own way!Collect Astromons with different attributes to build your own best team.Grow your Astromons faster by feeding fruits, and unlock additional powers with special runes! # Immersive Content!Dive deep into the story of Astromons through 8 different regions!Challenge yourself in daily Dungeons for better rewards! Battle against other players in the Astromon League! Access requests for gameplay (Game services restricted if disabled) 1) Only for game installation purposes, this application requests access to external memory. ▷Monster Super League Facebook:https://www.facebook.com/monstersuperleague Follow up on the latest news and events on the Monster Super League official community!